About Dixie Salvage: Junkyard in Alachua, Gilchrist, Leon, Madison, Taylor County, and Old Town, FL with Truck Parts, Rebuilt Transmissions and More! You don’t go to a restaurant to cook your own meal and you don’t go to a barber to cut your own hair, so why spend your time at a parts yard removing the part you need? Dixie Salvage saves you time and aggravation by pulling the part you need. No lugging tools, no searching for the right year, make and model. Our knowledgeable staff makes sure you get the right part without the hassles of getting under the hood…or the vehicle. We make sure the part you need is in good working condition and we back it with our 90-day warranty PLUS we have extended warranties available. If we don’t have it in our lot, we’ll search our huge network of salvage yards throughout the nation so you get the part you need. Your time’s better spent on repairing a vehicle, not wrenching on another one just to get a part. Let Dixie Salvage save you time and money! We understand that, in some instances, a used part isn’t what you need. That’s why we offer many of the new parts you need to get the job done. 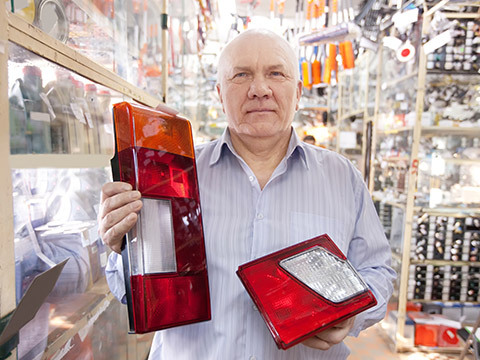 Radiators, taillights, headlights, mirrors and body parts: Dixie Salvage has them. Foreign and domestic, all makes and models; we offer excellent turnaround and competitive prices. 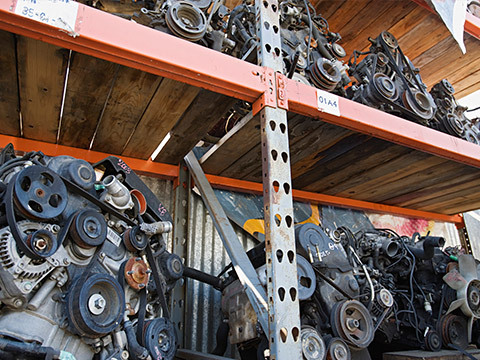 And when you’re looking for that hard-to-find part, Dixie Salvage is up to the challenge. Let us know what you need and watch us go to work for you!